"Get thee to the woods with this book in hand and sense the fullness that flows through the steam and roots and leaves." "A fun and short read on the natural magic of herbs, flowers, essential oils and more. Green Witchery extends far beyond where your mind may be right now. In Arin’s useful book, you’ll get recipes, herbal blends … exercises, ritual suggestions, [and] … recipes … .She also has some useful seasonal rituals, meditations for different times of year and seasonal cycles and energy." "Author and herbalist Arin Murphy-Hiscock shows the way to healing through the natural magic of flowers, herbs, and essential oils. This book is an indispensable guide to connecting with the energy of the earth and the power of nature." "Whether or not you believe in witchcraft, this fantastic book by alternative healer Arin Murphy-Hiscock will teach you about the healing magic of herbs, flowers, essential oils. 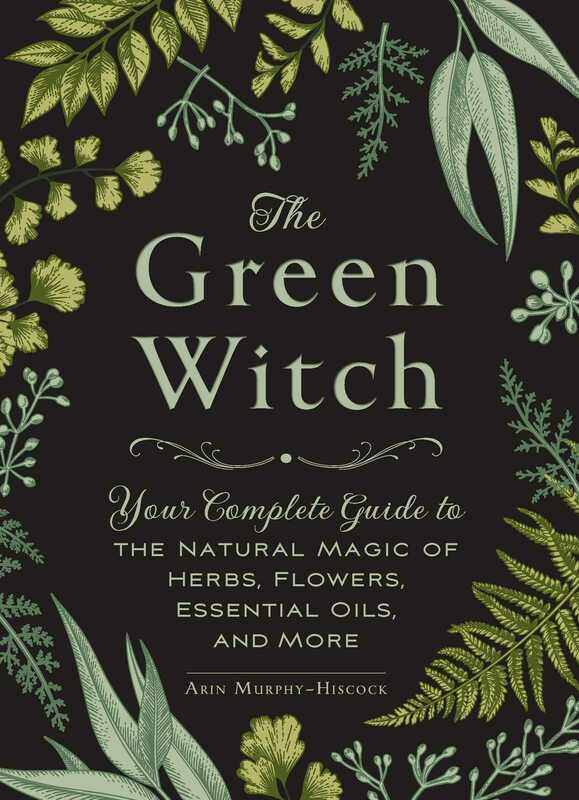 The Green Witch is a guide to herbal and energy healing, loaded with recipes, rituals and wise words to help you harness body and soul—and the power of nature—to find balance." "For covens who prefer meeting outdoors, perhaps in a garden or a deep forest clearing, The Green Witch is a delightful guide to nature magic. It's filled with practical recipes for herbal blends and potions, the properties of essential oils, and lots of ideas for healing and relaxation." "It gives you a foundation of knowledge that you could start experimenting yourself with the concepts you learn, regardless of whether or not your pantry is fully stocked." "A valuable foundation of knowledge."